FINALLY, the almost five months of strike by Academic Staff Union of Universities (ASUU) is over, while that of the Academic Staff Union of Polytechnic (ASUP) is yet to be called off. One can only hope and wish that the situation is resolved within very shortly to allow our polytechnic lecturers go back to work and students back to school. In recent years, analysts and concerned individuals and cooperate bodies have decried the unfortunate falling standards of education in our tertiary institutions. Many have suggested several remedies to arrest the decline. The quality of graduates produced by Nigerian universities leaves much to be desired. Most of our graduates cannot construct simple sentences in English. It is even said that some of them cannot write their names without first racking their brains. 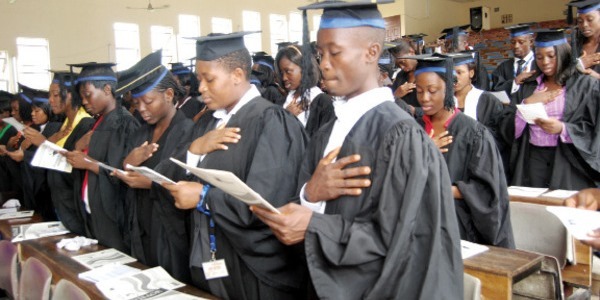 The consequence is that, although we decry the high level of unemployment in the country, we have graduates who themselves do not feel confident or bold enough to apply for jobs even with high grades such as second class upper degrees they brandish. Many highly placed people have, at different fora, and at different times stressed the fact that most of the Nigerian graduates are not employable. This assertion is not completely far from the truth. The situation has led to many people wondering what the National Universities Commission (NUC) accreditation is all about and what the several visitations have achieved. Little wonder all such exercises are dismissed as mere jamboree. There have been reports of accreditation teams getting carried away as soon as they reach a university, and they are warmly received; they are compromised. Although sales of handouts have been banned, lecturers in several tertiary institutions have devised other means of exploiting the students through the sale of text books they author or they are promoting at exorbitant prices. Students are forced to pay between N500 to N5000 to buy text books which ordinarily should cost no more than between N200 to N1, 200. The students often have to choose between failing a particular course and buying the textbooks. Female students are harassed and exploited sexually and the wayward lecturers get away most times with these acts even when some of the students are able to summon courage to report their experiences to the authorities. Indeed at the end of the day such students often end up being victimised, to deliberately discourage others from speaking out. Some lecturers often turned themselves into semi-gods threatening students that they can make or mar their future. In few instances lecturers leave exam scripts to be marked and collated by their fellow students, a practice that often creates room for sharp practices, lobbying and acrimony. The situation is better experienced than imagined. If a lecturer has the power to fail or pass a student at will regardless of his/her intellectual capability and performance, then all is not well with the system. There should be an interface between the students and the NUC or the relevant agencies of the Federal Ministry of Education through opening Private Mail Bags, Emails and Phone numbers to which students can send complains and grievances. A special lecturer disciplinary tribunal should be set up by the NUC, which will always hear cases ranging from molestation, verbal and physical assaults against students or against lecturers themselves. The tribunal should be able to try other issues of student-lecturer relationship. The N200 billion recently released to the universities will achieve little or nothing if urgent steps are not taken to address the moral decay, gross indiscipline and other negative attitudes in our tertiary education systems as all these have a direct impact on the standard of education and the attendant quality of graduates.. The time to check these anomalies and do the right things is now. • Obaro lives in Ilorin.